Higuain is finally a Chelsea player, but how long will it take for Morata to get his move away from the Stamford Bridge? Maurizio Sarri has finally had his wish granted this week and finds himself reunited with former Napoli striker Gonzalo Higuain at the Stamford Bridge. So with the Argentine at his disposal, Spain international Alvaro Morata is now excess baggage for Sarri. But he can't leave the club just yet, according to Nizaar Kinsella of Goal. As per the report, the recent turn of events that have unfolded at Ligue 1 club Monaco have delayed Morata's imminent move away from the Premier League back to Spain. Monaco are having an awful season, currently they are second last in their league and had to sack their second manager in three months in Arsenal legend Thierry Henry after a series of unimpressive performances. Surprisingly they have appointed Leonardo Jardim back as the head coach. Thierry Henry says his sacking by Monaco comes with "great sadness" as the French club re-appointed Leonardo Jardim as their new manager. Morata who has played for Real Madrid in the past actually started out his youth career with city rivals Atletico Madrid as a 13-year-old back in 2005. 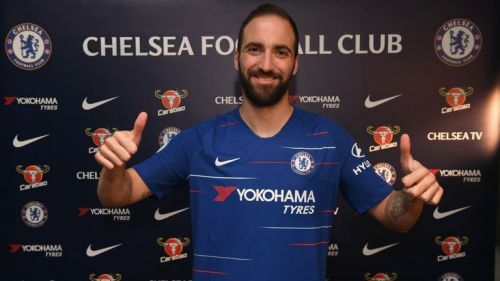 After months of speculation and deliberation Higuain has finally arrived at Chelsea and is reunited with his favorite coach Sarri. This signals towards a quick departure for Morata, but the question is why hasn't his move to Los Colchoneros been finalized yet? According to the report, Morata's move is on hold due to issues surrounding Gelson Martins' proposed loan switch to Monaco. Both clubs had agreed a deal while Henry was still in-charge at Stade Louis II. Now that he's gone, the deal stands in moratorium. But, it is understood that once the clubs get over the formalities, Atletico, who have reportedly reached an agreement worth €3 million to bring in Morata for the remainder of the campaign, with the option to pay a further €40m for a permanent transfer, will go ahead with the deal. "One month ago he[Morata] said he wanted to play for another team." It is all but sure that Morata would leave the Blues and return to LaLiga with Atletico, while his replacement Higuain is expected to make his debut in the FA Cup fixture tomorrow. Is Gonzalo Higuain the answer to Chelsea’s goalscoring problems?